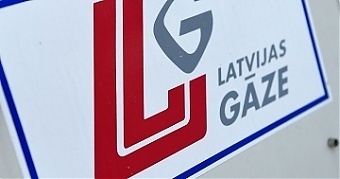 Latvijas Gaze gas utility closed the first nine months of 2018 with 261.251 mln euros in net turnover, up 2.9% against the same period a year ago, while the group’s profit rose 5.7% year-on-year to 18.554 mln euros, informs LETA referring to the group’s financial statement submitted to Nasdaq Riga. At the same time, Latvijas Gaze company increased turnover by 4.6% year-on-year to 229.054 mln euros in the nine months of 2018. The company’s profit was 14.72 mln euros, or 4.3 times higher than a year ago. “Higher commodity prices quoted at the major open natural gas hubs, positive effects from the Company’s newly established hedging activities, as well as significantly higher than expected gas sales to the power generation segment were the key drivers behind the better financial results in comparison with the same period last year,” the gas company’s management said in the financial report. The Latvijas Gaze management noted at the same time that in the fourth quarter of 2018, higher expenses and lower sales margins due to increased competition will mitigate parts of the positive financial results accumulated in the group’s sales and trading segment during nine months period of 2018. According to the management report, Latvijas Gaze sold 960 mln cubic meters of natural gas to more than 400,000 clients in the nine months of 2018. Compared to the first nine months of 2017, gas sales dropped by 8%, primarily due to the arrival of new trading companies after the opening of the gas market in 2017 and changed purchasing patterns of large customers. The distribution segment is the largest segment in the Latvijas Gaze Group by asset value, the management said, informing that at the end of September 2018 the value of the segment’s assets was 261 mln euros, while turnover had dropped 0.2% year-on-year to 34.8 mln euros. The trading segment at the end of the reporting period had an asset value of 180.4 mln euros, which mainly consisted of natural gas in stock and advances for inventories. The segment’s net turnover during the first nine months of the year amounted to 226.5 mln euros (increase by 3.4% compared to the same period in 2017). In the first nine months of 2018 Latvijas Gaze turned over 253.885 mln euros and generated 17.551 mln euros in profit. Latvijas Gaze is quoted on the Nasdaq Riga Secondary List.